Welcome to Mattapoisett harbor! 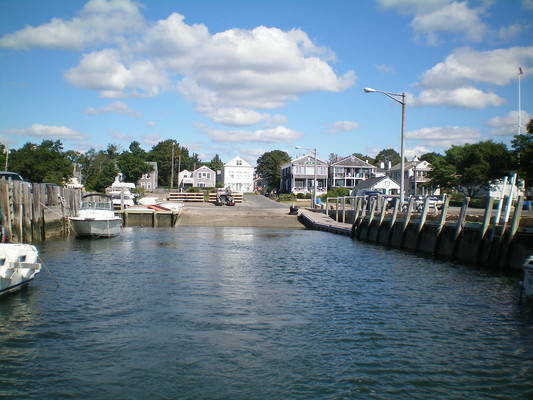 Brownell moorings are located in the center of the harbor south of the Mattapoisett Town Dock. Our moorings can be identified by their cone-shaped buoys, a yellow top and blue band. We offer nightly or short term rentals. 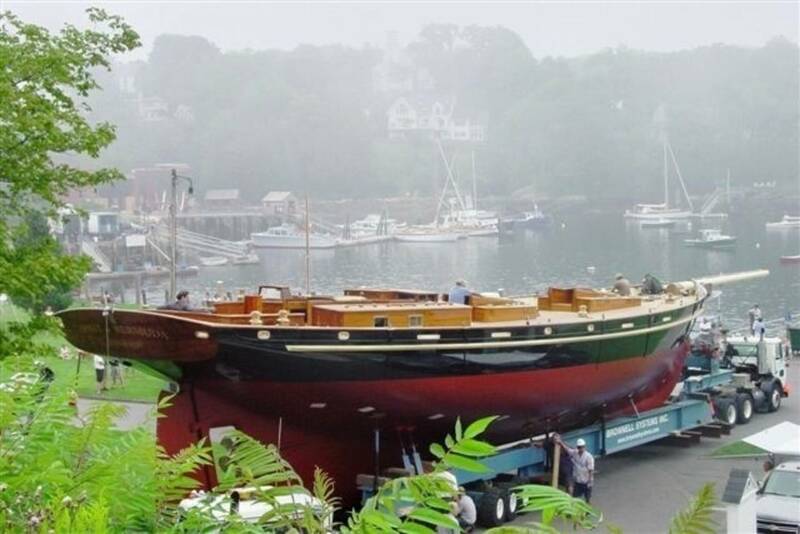 Harbor launch service is available May 1st through Columbus Day. 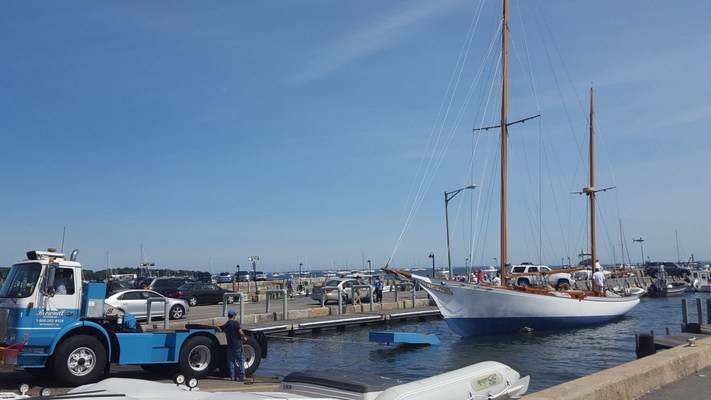 Call 508.758.4791 or hail the launch on VHF Ch.68. Founded in 1954 by David (Fred) Brownell, the inventor of the boat stand and hydraulic boat hauling trailer, Brownell Systems has been family owned and operated for over 65 years. Brownell operates a fleet of hydraulic boat hauling trailers, providing boat hauling, launching and crane service at the Mattapoisett boat ramp and over-the-road boat transport throughout New England and the Northeast U.S. 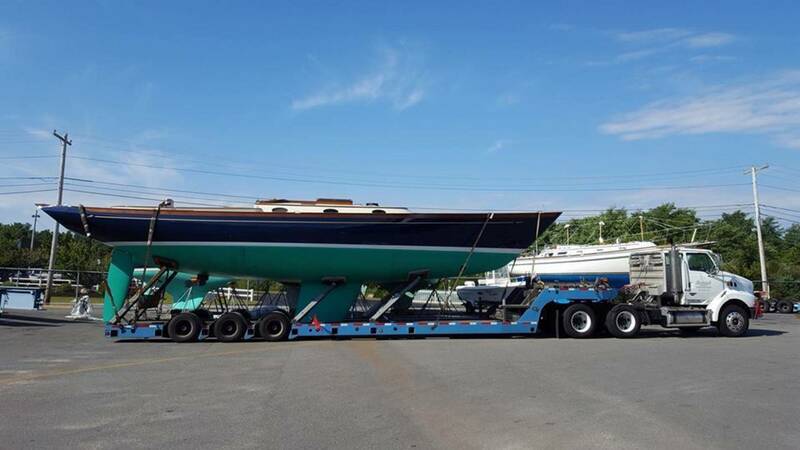 In addition, Brownell Systems offers a do-it-yourself boat storage yard 1 mile from the Mattapoisett harbor. 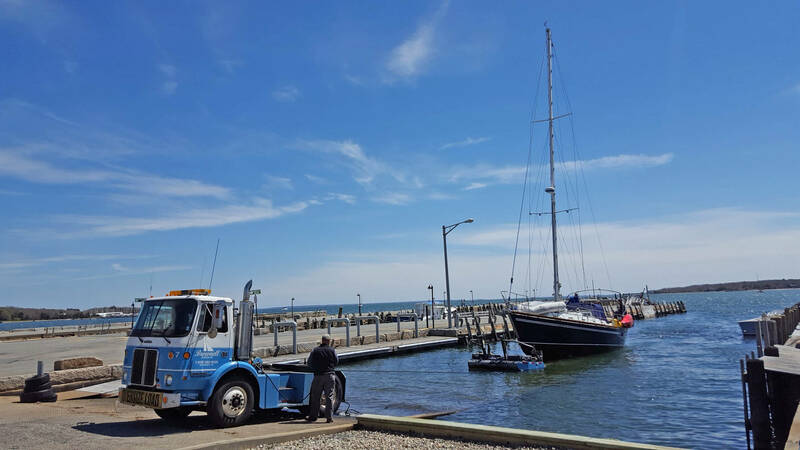 Experience the difference in our clean and paved yard where owners and crew maintain total control of their boats and enjoy a boater cooperative atmosphere. Store with us for the winter and you can do your own work or hire contractors to work directly for you. Electricity and water access are provided to every boat, personal storage lockers are available for tools and supplies and restrooms and vending are provided in our captain’s lounge.